Even if you're a Windows (or Mac) user, knowing how to use Linux is a valuable skill and it can run a bunch of awesome things in your home — even if it isn't your main desktop OS. 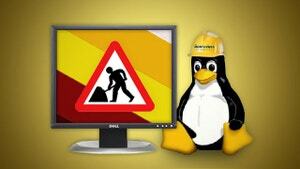 Here are 10 ways you can use Linux even if you're not ready to go full Ubuntu. Images by Karin Dalziel and Jeff Kubina. You don't even need to install Linux on a box to make it useful — all you need is a solid live CD. Just boot from the CD and you can grab any files from the hard drive, even if the computer won't boot or you've forgotten your password. Linux can even help if you accidentally formatted your entire drive. 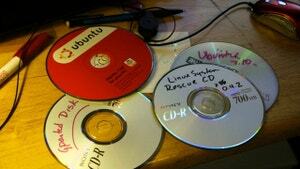 Of course, not all system rescue discs are Linux — and there are a lot of good ones out there — but a bit of basic Linux knowledge can turn you into a troubleshooting expert. 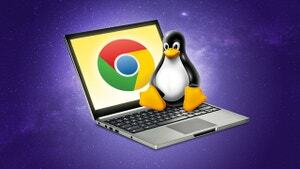 You'd be surprised how much you can get done in Chrome OS. There are a lot of great Chrome apps out there for editing audio, video, images, coding, and more — but sometimes you just need a more powerful desktop app you're familiar with. Luckily, you can install Linux alongside Chrome OS really easily, and get access to a traditional desktop with a bunch of apps. It won't get you Photoshop or something of that calibre, but if all you need is a bit of a safety net, it's perfect. You'd be surprised how many websites you visit every day actually run on Linux — and if you want to build a web site, you probably will too. Possibly more interesting, though, is how you can use a Linux-based web host — like Dreamhost — to host your own personal RSS reader with Tiny Tiny RSS, or your own Dropbox clone with OwnCloud. You could, of course, host these on a Linux box in your home, too. It's a bit more complicated, but it gives you complete control over everything rather than putting your data in someone else's hands. If you dual- or triple-boot your system and ever want to move partitions around, you'll have a much easier time with a Linux live CD and GParted. Heck, even if you don't dual-boot, you'll still need a bit of help from Linux if you ever migrate to a solid-state drive, or upgrade to a more spacious drive. And, if you want to securely wipe it so no one can get at your data...well, Ubuntu can do that too. With a little Linux knowledge and a cheap computer — like the Raspberry Pi — you can create all sorts of tiny home automation gadgets. You can control your home with Siri, mount a Google Calendar tablet on your wall, set up a home surveillance system, control your blinds and air conditioner, stream music in your living room, build a digital photo frame, build a sunrise alarm clock, and...pretty much anything else you can think of. With a cheap board like the Raspberry Pi and a free OS like Linux, you're more limited by your imagination than your wallet. If you don't want to leave your computer on 24/7 just to share files or download torrents, a tiny dedicated Linux box might be a better solution. With an old computer or a cheap new one, you can put together a home server that stores your backups, streams movies and musics, seeds torrents, or performs any number of other tasks quietly in the corner. You can put one together with Nas4Free, FreeNAS, or even Ubuntu. If you have a computer that won't even use the desktop — like a media centre or dedicated emulation machine — why not just set it up with a Linux backend? It's free and easy to do. XBMC works great on Linux, whether you're running on a Raspberry Pi or just a low-powered PC, and you can turn just about any PC into an all-in-one retro video game console. 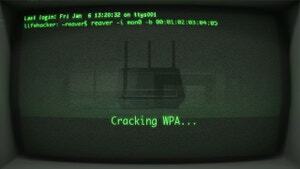 The Raspberry Pi works well for older games, but you'd want something more powerful to play newer stuff. Heck, you could even use it to create a retro arcade coffee table. Some Linux distributions, like BackTrack or Kali, are security-focused distros for testing security systems. That means you can use them to learn how to, say, hack WEP orWPA Wi-Fi passwords, which is a great way to learn a bit more about your own network security and how to protect yourself from similar attacks. Of course, we don't recommend using these powers for evil — but knowing evil's tricks gives you a good path to preventing them. And so we come to one of the most obvious and common uses for Linux — and still one of the best. If you have a PC that's seen better days, Windows is far from the ideal OS. install a lightweight Linux distribution on it (like Lubuntu or, if you're a bit more savvy, Archbang) and it'll feel like a new machine again. It may not be able to do everything your powerful Windows machine can do, but it's better than having a non-functional computer, and works perfectly for basic tasks. If none of the above sound like anything you need, why not just get in the spirit of DIY and learn a little bit more about how computers work? Tons of things run Linux these days, from TVs to the Android phone in your pocket, and learning about Linux is not only a fun hobby in and of itself, but it'll help you learn a bit more about what makes these machines tick. We recommend getting started with something like Ubuntu or Mint, then when you get a little more familiar, move onto Arch for some serious learning. There are a ton of great distros out there and even if you're just playing around, you may find that those skills come in pretty handy one day. Newer games will be across platforms but I don't see older games being ported across as rapidly. Plus nvidia and and have to up there game as far as drivers are concerned. Linux games aren't going to overtake windows games, no matter how much effort steam puts in. The reasoning is quite simple. Either games are windows only, windows + mac only, or windows + mac + linux. The number of windows + mac + linux games are increasing, which is a good thing. I am all for cross platform. However, even in a perfect world when all games are cross platform, that only makes linux equal with windows. Eventually linux might(will?) overtake windows for gaming, but it isn't going to be any time soon. There will always be some games that are windows only, and its going to take a long time for all of those gamers to switch to linux. It wasn't forgotten: point 4 "Create a Dedicated Media Centre or Video Game Machine"
The 10th one..Troubleshoot your PC..I have done that n number of times for my friends.. Good Article. Usual Linux desktop self-hynosis. I like dual-booting Mint when travelling for using train, airport or hotel wifi as a security precaution. Hackers in their right minds don't try to hack an OS with 1% of OS market share. For practical purposes, I really like the third party software developers that have good functional Linux/Windows versions that handle my work files without compatibility foul ups. But if software doesn't handle file formats equally well between Windows and Linux, forget it. Personally I am using it as main operating sysmte. Like many distributions, but mainly stick to Ubuntu and Mint. Also Linux work very well on old machines.